Spring cleaning is not necessarily around the corner but getting rid of unwanted CDs and creating new uses for them is appropriate any time of year, specially now that music has taken a step forward, now thanks to the youtube mp3 converter having CDs is not necessary. Start by collecting all your old, scratched and unwanted CDs. Make a plan for their use and dig into Craft Class 101 for the next few weekends. Replace your tired old scarecrow with light reflecting CDs. As the gentle breezes blow, the CDs twist in the wind catching light. The reflected light startles birds and pests, keeping them from munching on your fresh organically grown fruits and vegetables. Mount CDs on old bales of hay or straw and use as targets for archery. The holes are the perfect size to really improve your accuracy. Archery students can choose from their most hated artists to add a little fun to the practice session. An annoying CD that a parent had to listen to for countless hours in the car suddenly becomes a target for all their deep-seated hatred for the irritating tunes. Never turn your back on an irritated parent with a loaded bow, especially once they have skewered a CD right through the center. Take your old music CDs and attach them with a glue gun to a wreath form for a great musically themed wall or door decoration. Choose CDs with colorful labels to enhance your artwork. Start by purchasing a lightweight foam wreath form at your local craft store. Wrap it with old sheet music securing the music with floral pins. Layer your unwanted CD collection on the wreath in overlapping rings until the face of the wreath is covered to your liking. Attach the CDs using a low temperature glue gun. Create interesting patterns based on the CD label designs. Use any available CD to signal for help when lost or injured while hiking or jogging. A CD’s highly polished and reflective media side can be used as an impromptu signal device. Simply focus the media side toward the sun and rock back and forth to create streaks of light that can be seen for great distances. This might sound a bit Macgyver-like, but in a pinch a CD could save your life. You won’t be able to use it when you are free. However, a broken CD is a sharp object, capable of cutting vines. Carefully break a CD in half; then use the sharp broken edge to slice through a vine. Room dividers are great décor items and can be created for a fraction of the cost with CDs and a little scrap wood. Collect and stack your CDs taping them together in bunches of five or six. Using a drill press or hand held drill, drill small holes at 12:00, 3:00, 6:00 and 9:00 around the outer edge approximately ½ inch in from the edge. Next, lace CDs together using fishing line or ribbon, creating a panel to fit inside the frame of the room divider. Build the room divider frame using 1″ x 2″ trim boards purchased at your local home center. Hang the frames from ceiling hooks or use as a floor based divider with hinges connecting the panels together. musicmagpie . You will help the environment and make a few bucks too. Don’t forget to check out their great charity programs. 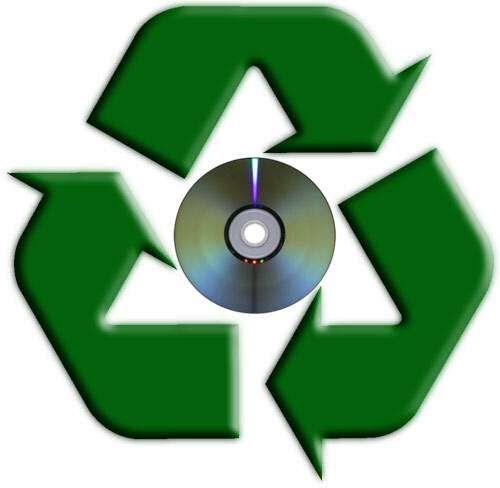 You can have your recycled CD value sent directly to a charity of your choice.